3M Weld-Thru II Coating 5917 is a sprayable - weldable - corrosion-resistant coating designed to prevent corrosion from forming between two welded metal surfaces. This product can be used to prevent corrosion on metal surfaces that will not be receiving any further treatment including body filler - primer and paint. 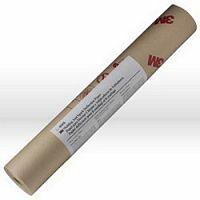 Dries fast with minimum spatter and meets MIR requirements. 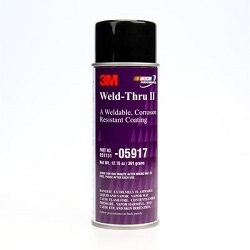 This aerosolcoating is designed to be applied to metal surfaces prior to welding to provide corrosion protection after welding. 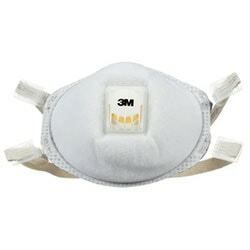 3M Particulate Respirator 8214 is a lightweight disposable N95 particulate respirator that is designed to help provide respiratory protection for certain non-oil particles in applications such as welding - soldering and other operations in which metal fumes may be present. The specially designed cake-resistant filter media provides longer respirator life. The proprietary 3M Cool Flow Exhalation Valve reduces heat build-up inside the respirator to help keep the wearer more comfortable. These combined features along with the foam face seal and fully adjustable straps are designed to help enhance user comfort and increase wearability. SPLIT LEATHER DEERSKIN TIG WELDER - ECONOMY Premium deerskin for an extremely soft snug fit. Has a thumb strap for extra durability and the gauntlet cuff provides added protection. 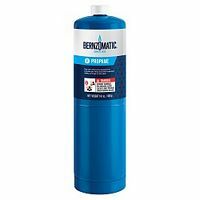 Made from a premium mild steel - this wire has powerful deoxidizers for surface cleaning. Used for automobile repair - truck bodies - tanks - fabrication and construction jobs. Shielding gas required. Full-grain deerskin leather palm. Split cowhide back. Foam lined back. Gunn cut design with wing thumb. Reinforced welted seams. Gauntlet style cuff. Must be used in combination with a 905-85 Foam Sleeve. Just wash and reuse - again and again. Comes in a package of three with easy to use mounting ring for pick-up of larger debris and dry material. Pack of 3. Ideal for medium to heavy soldering and brazing. 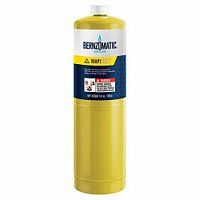 Flame temperature in air = 3600 F.
The Propane Hand Torch Cylinder is designed to fuel hand torches in order to complete jobs such as small soldering jobs - softening putty and paint - removing rusty bolts and nuts - and thawing frozen locks. Constructed of durablesteel - the slim - lightweight cylinder is easy to grip and maneuver. Flame temperature in air is 3600 degrees Fahrenheit. 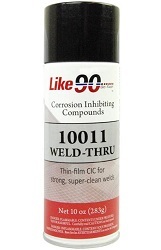 Thin-film CIC provides cleaner stronger welds than traditional weld-thru coatings. 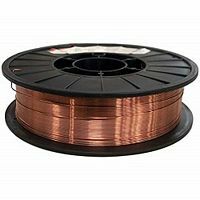 The non-conductive resin contains no zinc or copper that can promote corrosion and contaminate the weld. Exceptional performance on aluminum as well as steel. The single-coat application provides superior coverage in an aerosol that won't clog.